The wallmural was easy to put up and looks great. The quality is not perfect, but I get compliments from friends and family. It was difficult to put up. I reccomend cut each in half to avoid wrinkles. Overall it was good for the price looks great in my livingroom. Picture was taken when I finished. I cut the edges ontop after. This company is totally AWESOME!!! My paper arrived a little darker than what it looks like in the picture, and not just right for where I wanted to use it. I sent a message to the company, and believe it or not, this man recreated this same pattern for me, more than once, to get the exact color I wanted! How's that for customer service?!?! And I LOVE IT!!! This is thick, high quality paper, stunning art design, easy to apply, and I am still in awe that a company cares so much about it's customers that they would do what they have for me! I can't recommend this high enough! Wish I could give them 100 stars! Beautiful graphics. Easy instructions, I put this up by myself. 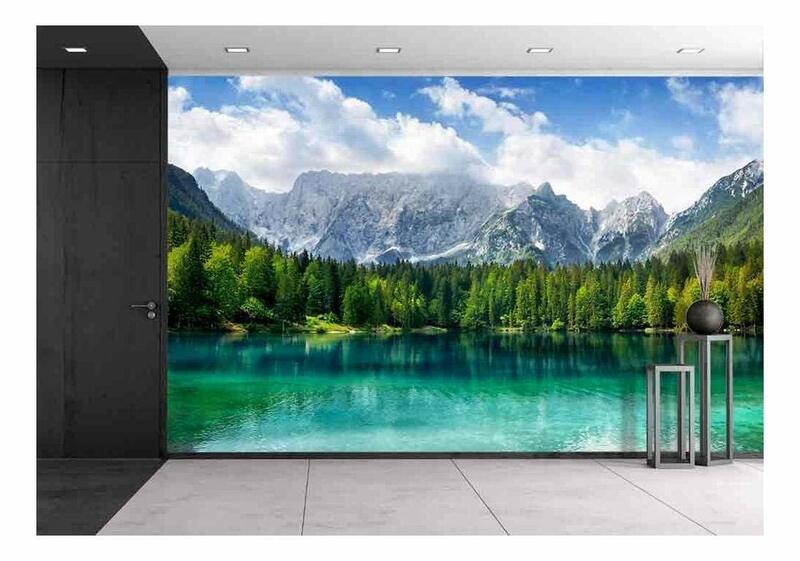 Awesome mural, looks great, sticks great and was super easy to install. Looks beautiful as a background in my savannah monitor enclosure. I stuck it to a 4x8' piece of particle board. Turned out great - I installed it on textured wall and it worked fine.